WIHS Shetland Pony Steeplechase video replays! 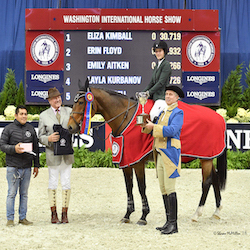 Top winners announced for the WIHS Regional Horse Show & USHJA Zone 3 Finals held October 17-19, 2014, at Prince George's Equestrian Center in Upper Marlboro, MD. Get Ready for Barn Night! What's New? Junior Hunter 3'3 Division and WIHS Children's and Adult Jumper Championships Qualifying Classes! WIHS tickets now on sale at ticketmaster.com and at the Verizon Center Box Office. WIHS tickets are now on sale!Available online at Ticketmaster.com. 2014 Prize List Now Available! Entries close September 2nd.See you in October! Watch all the WIHS Shetland Pony Steeplechase Races presented by Charles Owen! You're invited to a clinic with Will Coleman! Become a WIHS member and start earning points to qualify for the WIHS Equitation and WIHS Hunter and Jumper Championship Finals at Verizon Center in October. Join us for the 56th annual WIHS!Oct. 21-26, 2014 at Verizon Center in Washington, DC.